So, we have been somewhat quiet because we have been busy. 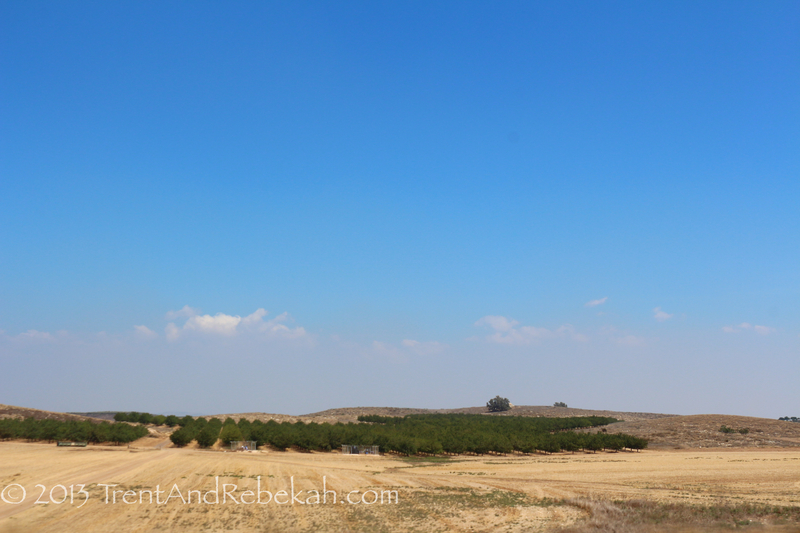 Grad school has not allowed much time for blogging 🙂 However, this semester (and the vagabonding tour) has provided great opportunities to explore the historical geography related to ancient Israel and the Biblical text. Over this semester, we have visited several “gateways” to the land. We hope to have a series of multi part posts, detailing a few of these gateways. Our first one is the Southern Gateways of the Levant, beginning with Philistia. The Philistia Gateway is part of the bottleneck of routes into and out of Egypt. It is arguably the most important of all the routes of the Southern Levant—and mostly because the empires of the ancient world made it so in their desire to conquer the oldest and most prestigious empire of antiquity. 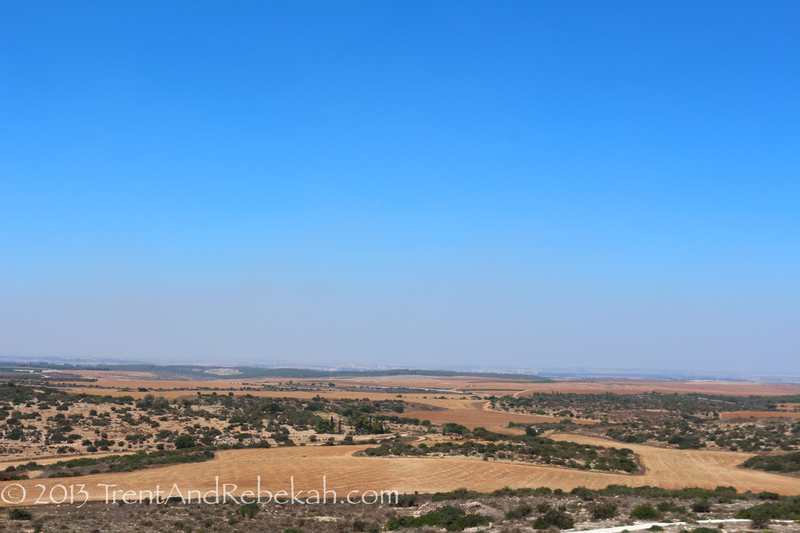 Philistia in Israel’s Coastal Plain region is a veritable variety show of rock and soil types. Much of the coastal plain proper is made up of dunes, both young dunes that create a rather inconvenient barrier along the sea, and ancient dunes that have solidified into kurkar. On the east, along the hotly contested boundary between ancient Philistia and Judah, the region is bounded by the rugged Cenomanian limestone (sometimes referred to as “Jerusalem Stone“), that makes up the hills of Judah and the smoother Eocene limestone lowlands of the Shephelah. 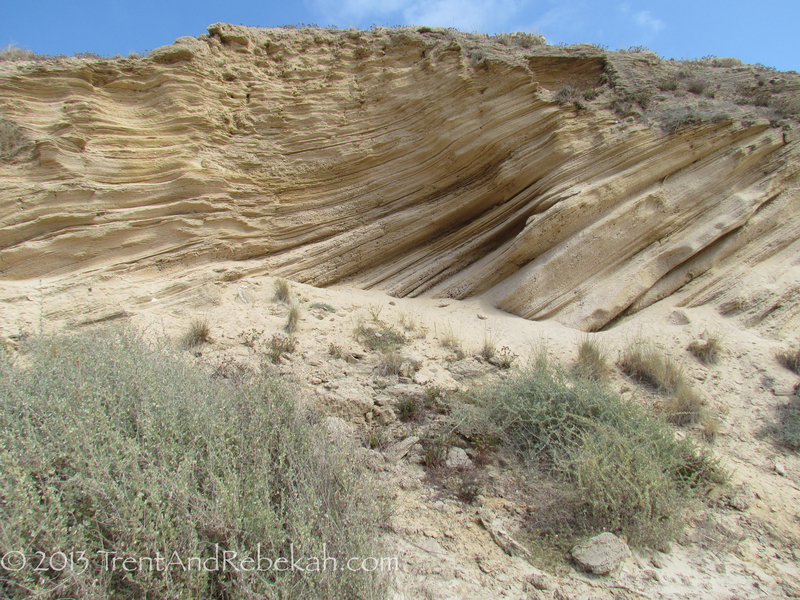 Between these formations runs the Senonian chalk trough, which helped block much of Philistia’s intrusions into the Judaean Hills. This chalk addition also creates an erosion paradise in the coastal plain, as the terra rosa and rendinza soils of the Cenomanian and Sinonian rocks mix with the earthy Eocene brown forest soil. Thus, the line of Philistia is made up rich alluvial soil, pure along its eastern border, and then mixed with the sandy dunes, coating the grains of kurkar to create brown-red sands. The result of this unique combination of soil types creates a region highly conducive to agriculture, where roots could grow deep and strong in the loose, fertile ground. Produce such as cereals abound, as well as vineyards—indeed, Philistia and especially Ashkelon were renowned across the world of antiquity for their famous wine. However, food crops were not the only yield of Philistia. The coastal geology also invited flax, and the broad, open plains could also be used for animal husbandry. Such tradable products as dairy, wool, meat, wine, and linen meant the citizens of Philistia were able to enjoy the material wealth of the ancient world. None of this luxury would be possible, though, without rain. Regular precipitation is crucial to farmlands, and Philistia’s proximity to the Mediterranean guaranteed a much more dependable rainfall than the territories further east and south. Its temperate climate also contributed to the land’s health, where plants and animals would not be subjected to the same deadly cold the northern and mountainous regions could experience. Once again, the nearby sea would protect gardens in the summer as the humidity maintained crucial moisture in the otherwise dry air. Further south in Philistia, where it intercepts with the desert, the light loess soil provided her with further opportunity. Loess, a pale and dusty soil made of loam and silt carried by the wind from the Sinai, is good, but only with enough moisture—and both the Philistines and later Nabateans seemed to know how to add just the right amount of the necessary water. 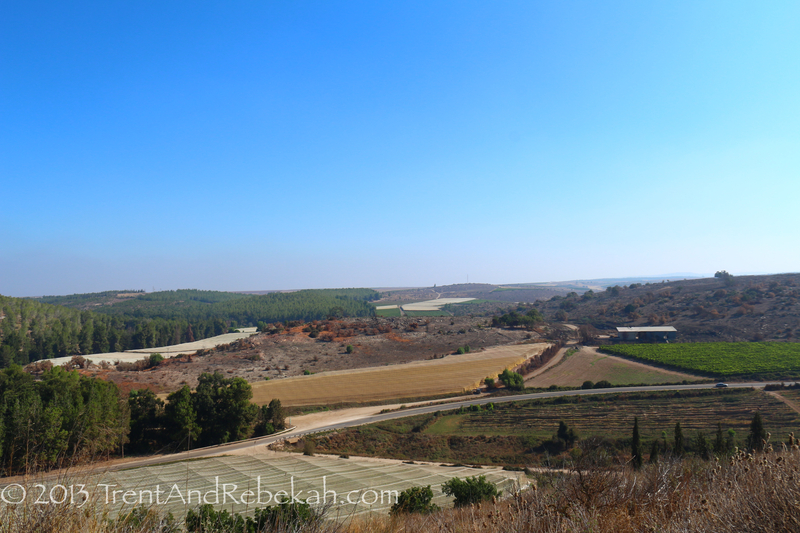 Ashkelon’s wine often came from the desert vineyards irrigated using technology long forgotten, and beautiful mosaics show donkeys and camels carrying the curiously shaped pithoi (storage jars) to the city. Philistia’s geology also shaped its geography. The broad, coastal plains and low hills, as well as the broad, open valleys (emeks) belonging to Eocene formations were ideal for travel. Sources of fresh water were not difficult to find, further encouraging passage. From earliest known times, the international trunk route wove its twin ways along Philistia’s coastline on the west and through the Shephelah to the east on its way from Egypt to Syria and beyond. Her value was not measured solely for her inland charms, though. Here and there, her coastal dunes gave way and great port cities, such as Gaza and Ashkelon, which rose up to welcome travellers by sea, even despite the Southern Mediterranean’s straight-line coast. Her five greatest cities, the famous Pentapolis (Ashdod, Ashkelon, Ekron, Gath, Gaza), each served as a gateway in its own right. Gaza opened the doors of the Southern Levant to her long-time master, Egypt. Ashkelon opened Palestine to seafarers from all over the Mediterranean—Phoenicia, Egypt, and the Aegean—and exchanged riches with them. Ashdod intercepted caravans journeying from Damascus as they descended on Egypt. Across the plain, Ekron and Gath stood guard over the inland branch of the coastal highway, as well as east-west roads leading across the hill country to the Trans-Jordan and the King’s Highway. It is this combination of sea access and inland routes that brought Philistia together with her southwestern partner, the Negev, and seduced many an empire to vie for control of her riches and her access to Egypt and the world beyond. A few good general resources on the geology and geography of Philistia, and ancient Israel in general, are James Monson’s “Geobasics in the Land of the Bible” (more geological detail) and “Regions on the Run, Introductory Map Studies in the Land of the Bible,” (more on geography, regions, and trade routes). Also, visiting the land is quite helpful as well. And of course, any Biblical text referring to the lands of Philistia, where geographical details can be gleaned.